Most businesses face the choice of either competing on the 'low road' of cost, or the 'high road' of innovation and value. Much the same goes for national economies and the UK is no exception. But how do businesses - and the people who manage them - go beyond the policy prescription and the easy exhortation to make that shift, to manage change and go well beyond business as usual?This ground-breaking book - the combined insight of some of the best minds in management, grouped together in the Advanced Institute of Management Research - does just that. 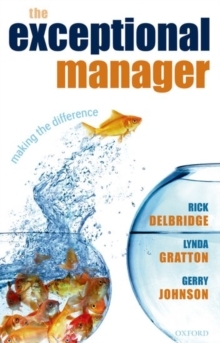 It presents a clear and crisp analysis of the context and the challenge; and offers managers a range of ideas on how to develop the competences, practices and values that can make a difference. It is essential reading for policy makers, analysts, academics, and managers to be who want to make a different future.